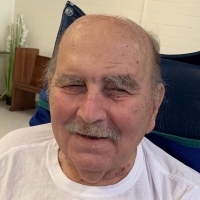 John J. Palmisano, Jr. passed away peacefully on Wednesday, March 20, 2019 at the age of 81. Beloved husband of 48 years to Clara Dupre Palmisano. Devoted father of John J. Palmisano, III (Aimee). Loving grandfather of Ashley and Samantha Palmisano and great-grandfather of Vivian Palmisano. Son of the late John Palmisano, Sr. and Derocha Palmisano. Brother of Wayne Palmisano (Estelle) and the late Raymond Palmisano. Brother-in-law of the late John Dupre (Gayle), Paul Dupre, and Carroll Dupre (late, Jenie). Also survived by a host of nieces, nephews, other relatives, and friends. John was born in New Orleans, LA and was a life long resident of Harahan, LA. He served in the U.S. Navy. He was a plumber for over 50 years and owned Johnny's Plumbing and Heating since 1976. In 1979, he was named Citizen of the Year by the Harahan Lions Club. He was a 40 year member of Troop 178 Boy Scouts as a youth and a leader. He was awarded the District Award of Merit in 1973 and the Silver Beaver Award as well as the Art of the Arrow award in 1984. Relatives and friends are invited to attend the Funeral Services at Garden of Memories Funeral Home, 4900 Airline Drive in Metairie, LA on Monday, March 25, 2019. Visitation will begin at 9:00 am with a Mass of Christian Burial at 11:00 am followed by military honors. Interment will be at a later date in Garden of Memories Cemetery.